Buy Books online at Menakart.com. Fiction, Auto Biography, History, Comics and Graphics, Non Fiction, Juvenile, Drama, Medical, Religion, Music, Computers. 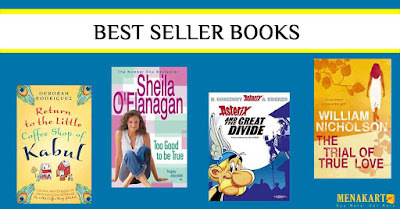 Lowest Prices on Books online. Largest Bookstore in Middle East. Free Delivery in UAE on all Books. Latest Books collection online.